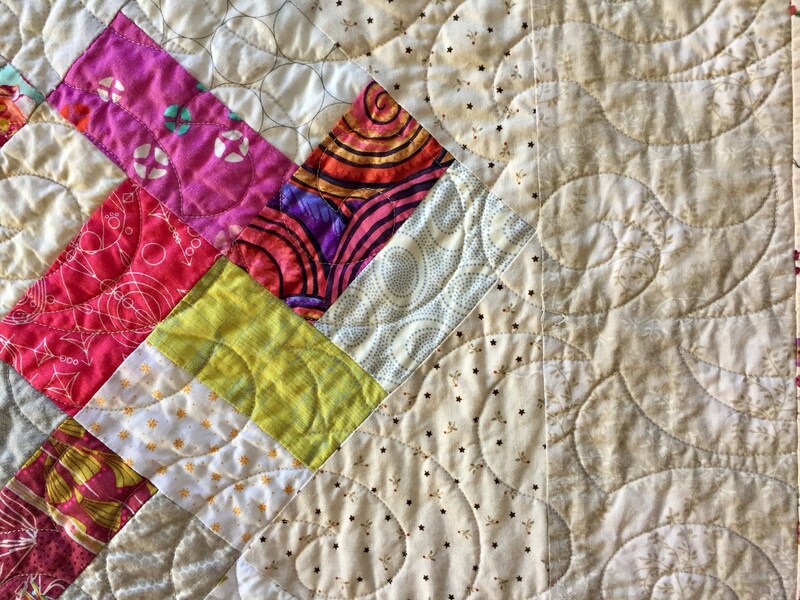 I am a traditional quilter at heart. 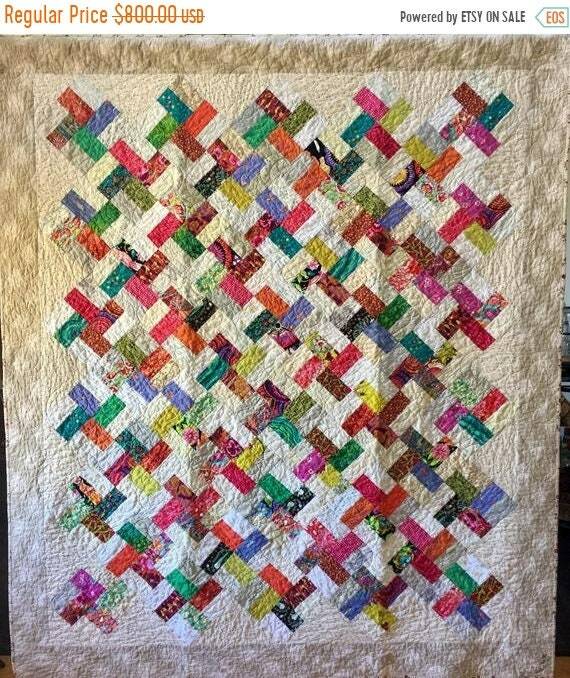 I love traditional quilts with an updated twist. 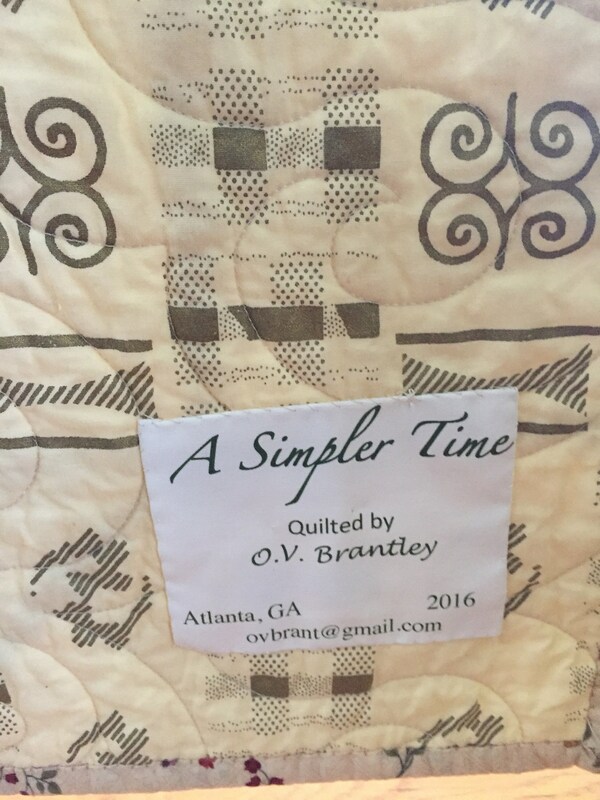 “A Simpler Time” is a traditional quilt all dressed up in modern fabrics. 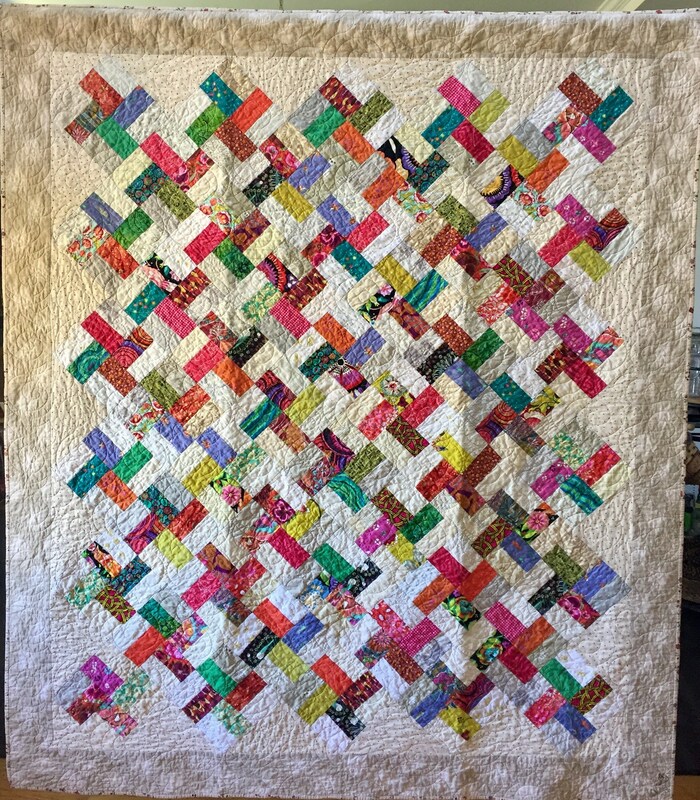 It measures 65x77 inches and is pieced and quilted by machine. 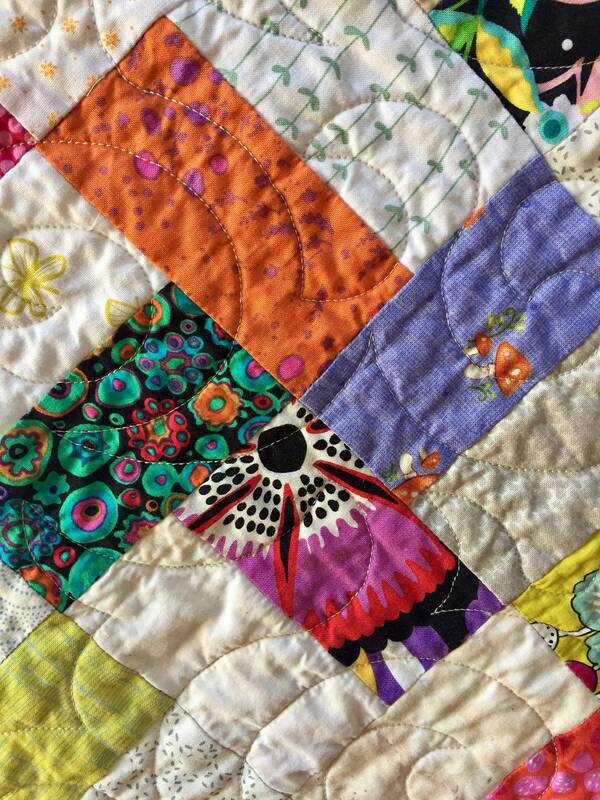 There is a hanging sleeve on the back in case you want to hang it, but it is definitely big enough to cuddle under. 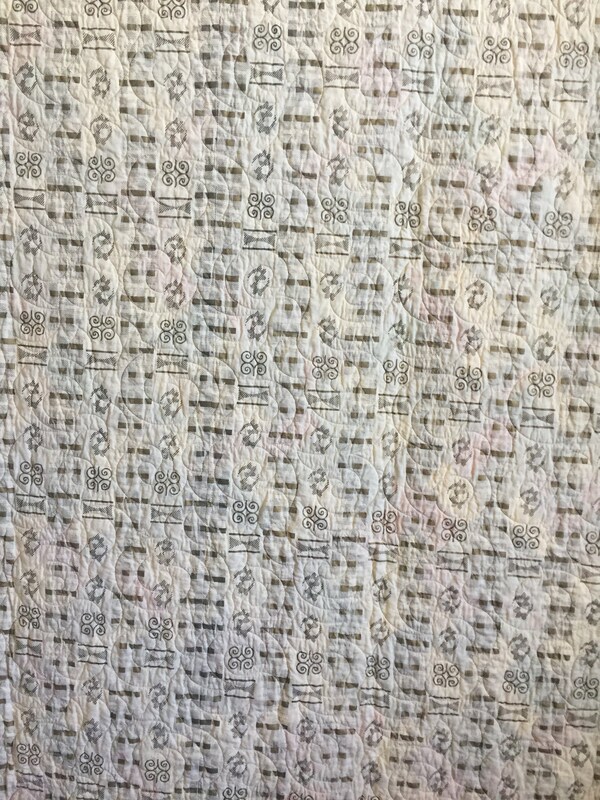 The print on the back is a cream colored African print. 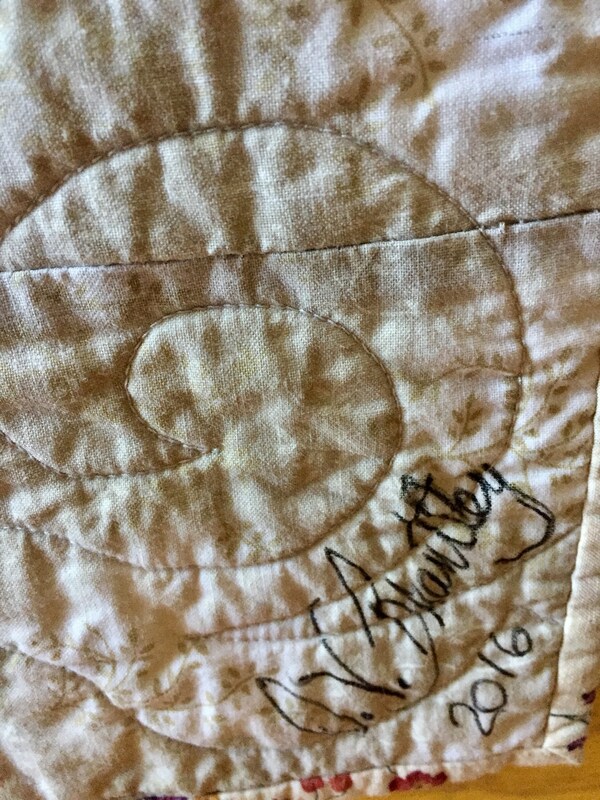 A label on the back documents the quilt.